Transitional justice process must be brought on the right track - Integration Through Media ....! 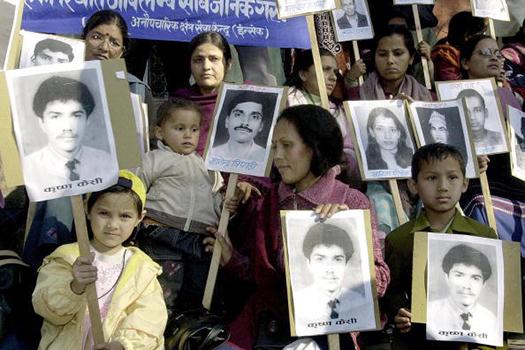 On 6 February, the Government of Nepal extended the mandates of the Truth and Reconciliation Commission (TRC) and the Commission on the Investigation of Enforced Disappearance of Persons (CIEDP) for an additional year and committed to the selection of new commissioners by April 2019. Following the announcement, the ICJ, Amnesty International and TRIAL International voiced concerns about past approach to transitional justice and urged the Government to ensure that the next two months are used to get the flawed process on track. The organizations warned that this should not become another missed opportunity to ensure that victims are provided the justice, truth and reparation that they so desperately seek. In a joint press statement today, the three organizations reiterated their view that the process to date has failed to deliver justice, truth or reparation for victims of crimes under international law and gross human rights violations or establish laws and institutional safeguards to ensure that such crimes are never repeated. The organizations underscored the need for independent, competent and impartial commissions, compliance with international law, and the meaningful participation of conflict victims, civil society and National Human Rights Commission in the design and implementation of the process.